Globalisation has brought many benefits to the world. While Australia relies on many products that come from other countries, a vast range of products – and produce – are made right here. Whenever Australian-made products are available, it is always best to buy them. What is it about Australian products that makes them so great? Australians tend to have very high standards when it comes to the foods they eat and the products they use. 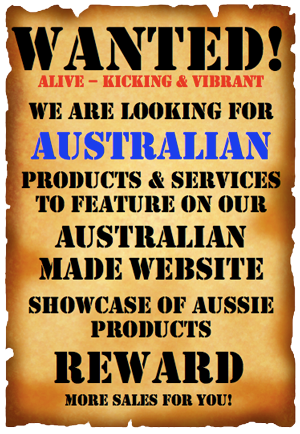 As a result, you’re much more likely to find top-notch quality by purchasing Australian-made products. After all, something that is made by an Australian company is going to strive to meet the country’s very high standards. Why sell yourself short? Australian manufacturers, farmers, fishermen and processors make some of the best products in the world to meet these high Australian standards. They come with warranties that means you can have confidence in the quality. Australian-made products and produce are known around the world for their superior quality. Indeed, Australia has a reputation for producing some of the best-quality products in the entire world. If you are fortunate enough to live locally, where you can buy Australian-made goods for a lot less than other people can. From fresh fruits to first-rate housewares, Australian-made products are vastly superior to those from many other areas of the world. Fill in your details here and we will contact you!